At Duke Memorial children are central to the life of the congregation. Our hope is that your children will not only be welcome but will become minister in our church, worshiping and serving as full members of Christ's body. Children are encouraged to attend all-church worship at 10:55 am. Our congregation welcomes your whole family - wiggles, squirms, and cries. For family members who want another space for their child, we offer nursery care for infants through four-years old. There is also the Lullaby Room, located behind the sanctuary, for parents whose children need a quiet space during the service. Children can participate in worship as lectors, through music and arts, by serving as acolytes, participating in children's offerings, using a Worship Bag, completing a Pew Project, and learning the rhythms of church life. On Sunday mornings, we offer opportunities for children to engage Scripture as they learn to be followers of Jesus. 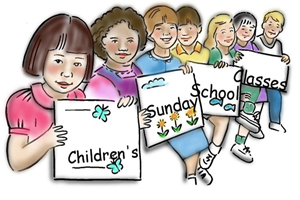 Using the lectionary-based Whirl curriculum, children are invited to Sunday School each morning at 9:30 am. We begin with a monthly rotation of music and arts (choir, chimes, dance, drums, and drama) followed by a Bible study in specific age groups. We offer the following age-based classes: Pre-K, K-1, 2nd-3rd, 4th-5th. 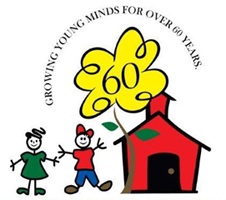 Click here for detailed information on Sunday School.